Photos and measuring stick were provided by John Loughman. So who is up to building one of these from scratch??? ?There is some information provided in Mike Cecil's book "AMEP Volume 2 Local Pattern carriers 1939-1945". 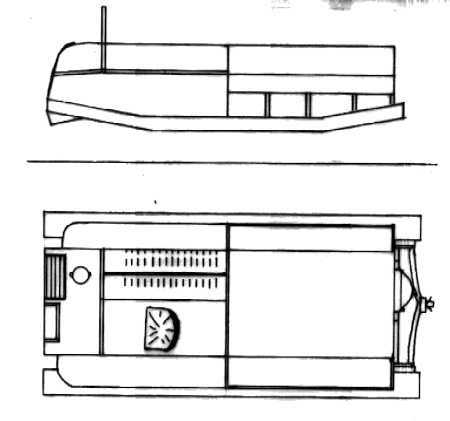 A basic sketch of the general layout of the Tracked truck Mk.1 made many years ago. This sketch needs to be modified for the more complex side chassis members. There is always new info becoming available. 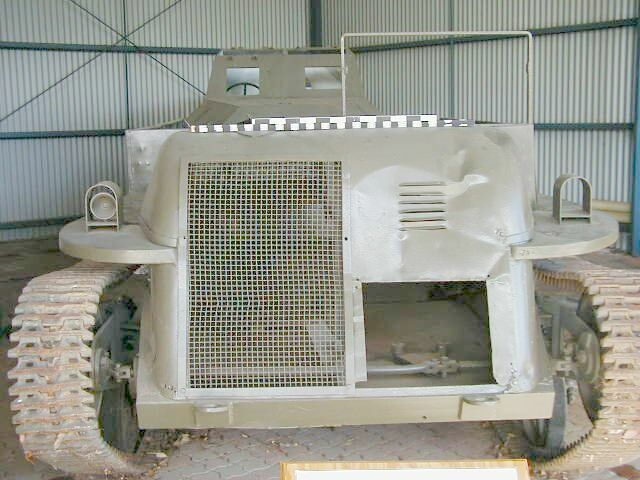 Front view of the specimen at the RAAC Museum Puckapunyal Victoria. note that the body is not armoured but just civilian car quality metal side. Showing almost standard Universal carrier type suspension for the roadwheels but a revised drive sprocket. The roadwheels had each spoke in the cross section of a capital "H". 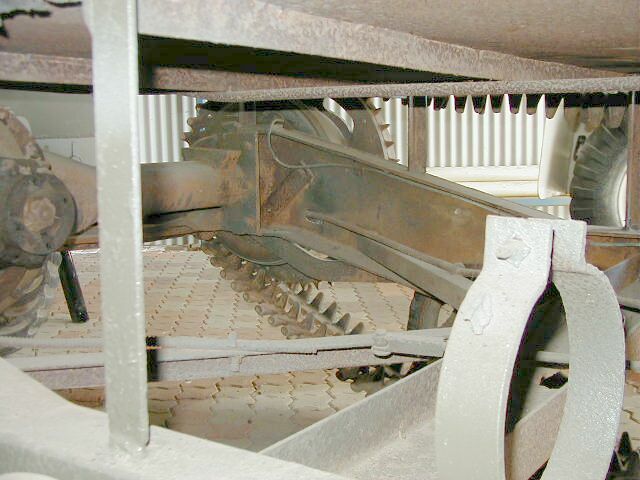 The front steerable idler wheel which was the same as the Local pattern Mk.3 type. Another view of the underneath / sub structure. The round bracket would have held the muffler. 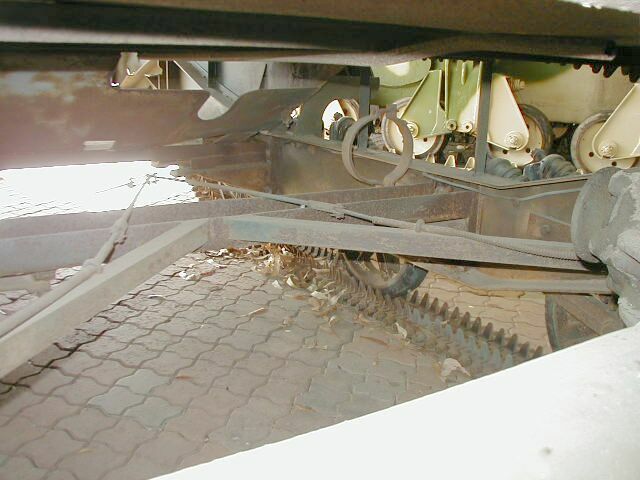 Also at the front can be seen the metal floor at the rear of the driver. 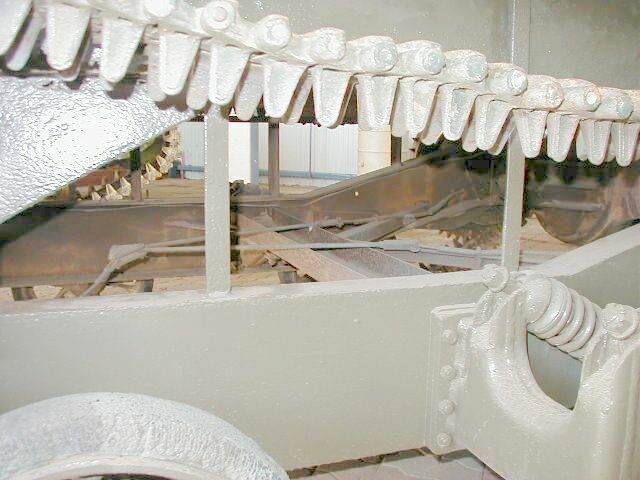 A more general view of the suspension.